Advertisement for Alien: Covenant heralds it as a return to its roots blending the detour known as Prometheus back into the mythos at the heart of the Alien franchise as the series circles forward on a collision course with the age of Ripley… They LIED. If you were hoping for a return to monster movie madness, Alien: Covenant promises big but doesn’t fully deliver so don’t expect it to satisfy your horror movie fix. 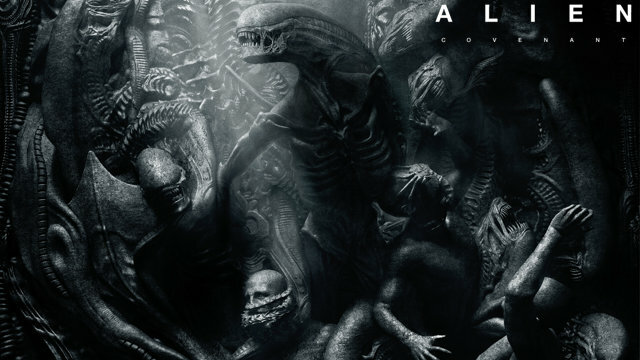 The pacing is off, the story unnecessarily obvious and discombobulated, the characters, particularly the xenomorphs, underutilized and it fails to fully meld its layers together for an immersive horror-ridden thrill ride. Covenant doesn’t do nearly enough of the unexpected. There’s inadequate suspense, hardly any thriller, and far, far too much high mindedness not balanced by gritty, tangible realism and flat-out scariness. Alien: Covenant has its moments (and more than one is truly vicious) but I left the movie theater muttering, “I want my monsters back in the shadows scaring s*t out of people.” It’s a waste of a space opera, too much psychological without enough thriller, and a far cry from the horror movie it could’ve been. There’s a serious disconnect between the story the studio teased the public with in the The Crossing trailer released in advance of the film and the story actually on offer in the theaters come May 19th. Ten years after the loss of the Prometheus, The Covenant travels through space towards an Earth-like planet all vetted and ready for colonization. Walter (David Fassbender) monitors systems as the behemoth cuts through space, while its crew and passengers sleep. All’s well until there’s a space mishap that results in the premature revival of the ship’s crew… because, of course it does. Circumstances leave Oram (Billy Crudup) as the expedition team’s Captain shortly thereafter, enter into this fractured crew, a message – clearly human in origin – in what should be uninhabited space. Over the strenuous objection of his second in command, Daniels, (Katherine Waterson) he redirects The Covenant towards the planet from which the signal originates…because, of course he does. This series of events would’ve carried more weight and heightened tension if the scenes from “prologue” trailer, The Last Supper, hadn’t been left out of the final cut. The interluded shows the crew members partying and bonding before cryo-sleep. It’s a perfect (and missed) opportunity for the audience to meet the crew; to come to feel some type of way about them – to really connect with this cast. Without it, you have no sense of the team, its dynamics, their personalities, or the roles they play beyond being colonists themselves. There’s no investment in either them or their mission so when they start making asinine and idiotically emotional decisions, I just want to start shooting people or feeding them to face-huggers myself. It must be said, there are some serious top-shelf space scenes showing off the ship and the expanse of space its moving through. As expected, the cinematography, art and set production are on a level all its own. It works to distract from some the wished-for elements missing in the film’s storyline but not none of its sufficient to halt the onset of its schizophrenia. The entire first act, the film’s unfolding at such a plodding pace all the gaping holes in the story’s fabric are horribly visible –and you have time to mentally lament them. There’s no developing sense of impending doom; all the film’s plot points are telegraphed far in advance with the accompanying data-dumping dialogue thrown in for good measure. Some Upside: With the introduction of this new planet, Alien: Covenant takes a hard left in direction and the pace soon kicks into gear. Despite the utterly stupid – even by suspense thriller move standards – decisions this Captain and crew make upon approaching and landing on this planet, there are harrowing moments to come that’ll have you flinching and or as one audience member did – audibly saying, “nope, nope, oh heeeeell no” as we get our first look at body-bursting, face hugging, brutally efficient killing machines incubating on planet. But it wasn’t tricks or gags that made Alien films frightening. It was the xenomorphs and the heart-beating terror they invoked. Covenant more that ups the horrific factor as it relates to the alien creatures themselves; the explanation for their difference from the creatures we’re used to is seriously disturbing (let’s just say I’m not an advocate for leaving androids alone with time no their hands) in-and-of itself. But other than that, the xenomorphs feel more like a prop rather than an integral part of the film. They’re less villain and more after thought which makes no sense because time was clearly spent on their development. They’re still intelligent, brutal, highly adaptable, and vicious killing machines but there’s little rhyme or reason to how they’re featured in the film and that’s the true disappointment in Alien: Covenant. None of the horror-movie essentials that are signatures of these movies are present and there’s just no reason for it. All the elements are here, the cast and ship are clearly up to the task of making it look and feel believable, Ridley Scott’s direction just seemed to phone it all in; tossing in expected scenes like he’s working down a check-list –it’s a disservice to the audience and the film. There’s also “flashback” sequence (it happens before the events in Prometheus) between a young(ish) Peter Weyland (Guy Pearce) and David (Michael Fassbender) that cleverly setups the future potential existential struggle illustrated by David’s moment of understanding that man – even the man he serves Weyland’s – will die and only he will remain to seek the answers the “ultimate question.” These scenes are sparse yet beautiful set to a haunting score that deepens the sense of foreboding hanging just off screen. The tension between man and android reintroduces the combative elements into the relationship that harkens back to the message in the original Alien that sentient robots can be hazardous to human’s health too. These moments add that layer of psychological thriller – and existential angst – to the story-arc opening the door (that the movie doesn’t walk through) for further exploration into both man’s origins through David’s journey into space and encounter with the secrets of the Engineers. And then the film completely screws it up. David’s re-entrance into the action is done with dramatic flair (literally) but swiftly shifts the attention away from the crew-eating alien creatures to him the turn comes off as inexplicable. It fully disrupts the flow of events and the film never recovers its ominous subtlety. 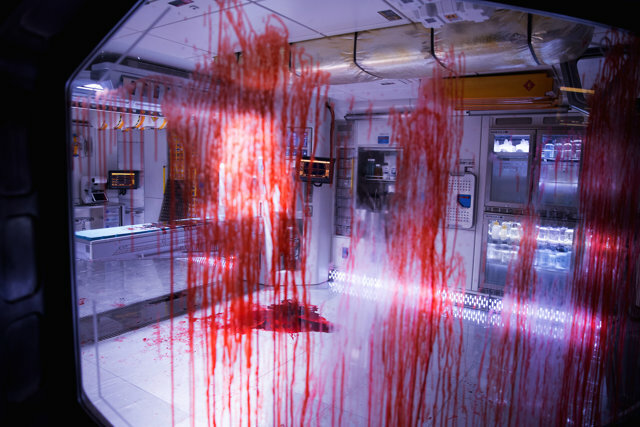 Alien: Covenant tries, and is only partially successful, to integrate these new elements to dovetail with the original film’s claustrophobic, horrific, hyper-tense feel with the intent to deepen the discomfort in the viewer. 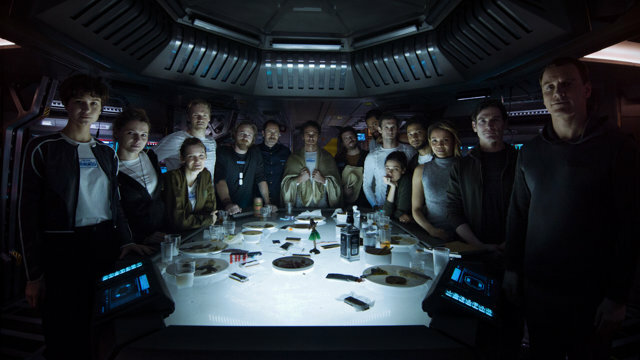 If the script had pulled together the various fragments of the past laid out in Prometheus and possibly explored what David learned while awake, aware, and alone on their vessel as it traveled towards its home world, the entire second half of the film would’ve had a deeper impact and ratcheted up the suspense factor to truly frightening levels. Instead, we get disjointed moments, overwrought dialogue, and paper-thin and obvious moves that steadily leak all the scary out of this film. 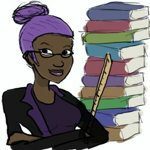 There are no Engineers – we learn why in a haphazardly placed (but seriously creepy) flashback – in the film; we never discover why they developed a pathogen to destroy humanity or their purpose in creating humans to begin with. There’s barely any mention of how the ship Prometheus ends up crashed on this planet to begin with – which in turn rips more holes in the plot points of Covenant because David is an overtly unreliable and untrustworthy narrator. More Upside: The best thing to come out of the prequels in David/Walter played by Michael Fassbender. He elevates his contribution to the movies in Covenant and all by himself introduces an element of the ominous that is sustained from his entrance through the end of the film. Despite the scripts inadequacies, his performance is brilliant. He is equal parts eerie and unhinged. 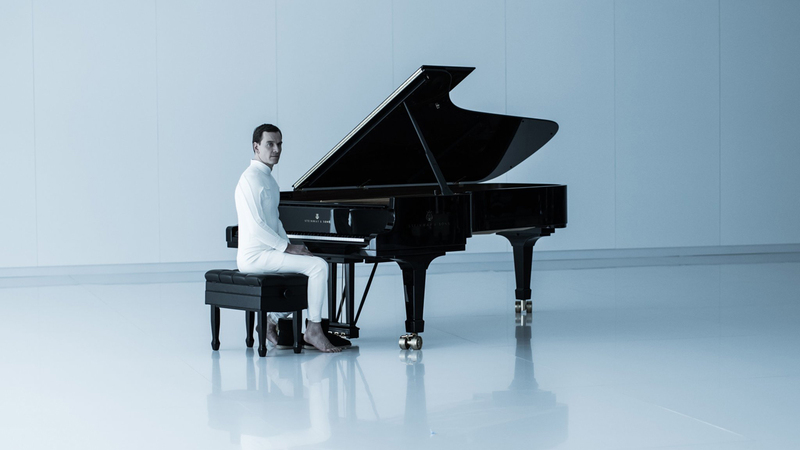 With the introduction of a second android Walter, Fassbender becomes his own foil and how that plays out on screen is some of the best elements of the psychological and essential creepy-factor the film has to offer. It must also be said, it doesn’t really get better than an actual Fassbender v Fassbender fight. But just as quickly, Covenant lets him down by undermining the suspense and his scare-factor by having him be so damn obvious in carrying out his agenda. Inserting this premise into the overarching story arc in-and-of-itself isn’t the problem. Man’s greatest leaps forward in science (and some of its best horror/suspense movies) are driven by an urgent need to craft its legacy; to know both itself and the mark it’ll leave in its wake. Traveling further down the path set in Prometheus to explore that ever-pressing question seemingly hanging in the ether (even for androids): where do we come from and what is our purpose is not the issue – in fact it adds an element to the series that brings fresh new ways to mentally unsettle an audience. The problem is, this movie doesn’t know exactly how it wants to use that mystery. This second installment of Scott’s prequels falls short of even its predecessor in integrating this storyline into the Alien universe. The elements are present to make a harrowing film where the expedition team follows the breadcrumbs to discover the fate of the Prometheus all while navigating around creatures fully intent on eating their face and an android that clearly had its own twisted agenda. Sound good?…well, don’t expect Alien: Covenant to carry that promise through. If it’s at all possible – and after viewing the finished film I can say unequivocally it is – Ridley Scott’s latest offering wanders even further away from everything that made the original Alien and the sequel Aliens (yes, I know there are more than two movies but for now, we’ll just pretend they exist in a parallel Alien dimension) work in ways that are decidedly not frightening but are at turns obnoxiously introspective with limited effect to disturb. Ridley Scott needs to resolve this existential crisis (write a better and more cohesive script for starters) if he can’t figure out how to use it to scare the bejeezus out of an audience and further the story he’s seemingly intent on telling. Ridley Scott won’t be able to trick me with another trailer and I don’t know how much longer I can keep holding on to Fassbender as the prequels’ saving grace good enough to bring me back for another installment.